Rich yellow straw color. Roasted, attractive aromas and flavors of toasted rice with tamari and butter, honey roasted nuts, and carob with a satiny, bright, dry-yet-fruity medium body and a tingling, appealing, long finish that shows impressions of nectarines with malted chocolate, figs and melon rind, and praline finish. A complex combination of sweet and savory tones makes this a natural choice for pairings; sherry-lovers need apply! Bottom Line: A complex combination of sweet and savory tones makes this a natural choice for pairings; sherry-lovers need apply! 96 • Kenbishi Mizuho Junmai 17.5% (Japan) $38.00. 90 • Kenbishi Kuromatsu Honjozo Sake 17% (Japan) $35.00. 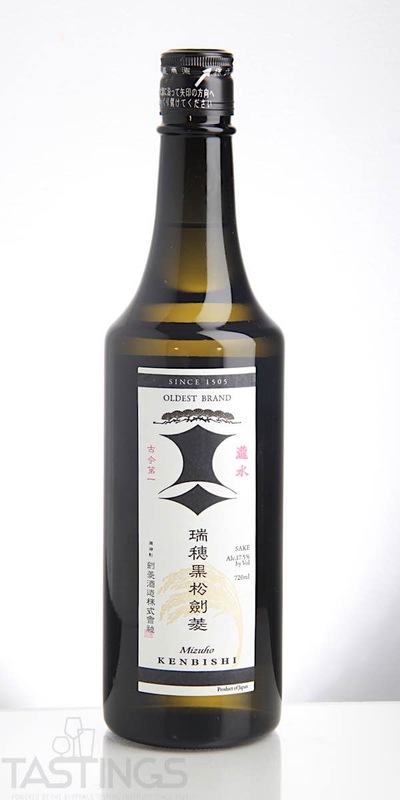 94 • Kenbishi Mizuho Junmai Sake 17.5% (Japan) $42.00. 87 • Kenbishi Kuromatsu Honjozo Sake 17% (Japan) $38.00. 84 • Makiri Junmai Ginjo 15% (Japan) $20.00. 94 • Mizbasho Ginjo Sake 15% (Japan) $25.00. 93 • Mizbasho Junmai Daiginjo 15% (Japan) $29.00. 95 • Ninki-Ichi Daiginjo Sake 17% (Japan) $150.00. 83 • Ninki-Ichi Sparkling Natural Sake 7% (Japan) $15.00. 84 • Tohoku Meijo Makiri Junmai Gingo Sake 16% (Japan) $38.00. 85 • Tohoku Meijo Makiri Junmai Daiginjo Sake 17% (Japan) $50.00. 86 • Tohoku Meijo Hatsumago Kimoto Junmai Sake 16% (Japan) $25.00. 92 • Tohoku Meijo Hatsumago Junmai Daiginjo Shozui Sake 17% (Japan) $50.00. Junmai literally translates into “pure rice”. This is the older, more traditional method of brewing sake. Junmai saké can only contain four ingredients: rice, water, yeast and koji with no added alcohol. 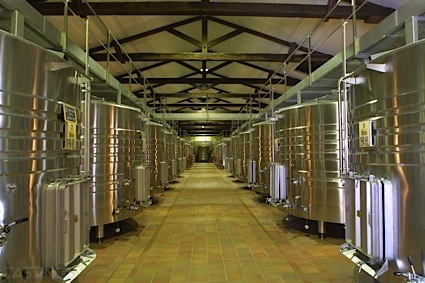 Junmai sakés will be richer and fuller bodied than the other major type, Honjozo saké. Until recently, at least a 30% rice polish (70% remaining) was required for this definition, but that has now been eliminated. These are generally dry to off-dry and pair well with sushi, fusion cuisine or even seafood risotto. Kenbishi Mizuho Junmai Sake rating was calculated by tastings.com to be 94 points out of 100 on 6/21/2018. Please note that MSRP may have changed since the date of our review.